Los Angeles is a lot more festive and a whole lot more nostalgic! Starting December 1st, the most immersive holiday experience Hollywood has ever hosted is beginning. 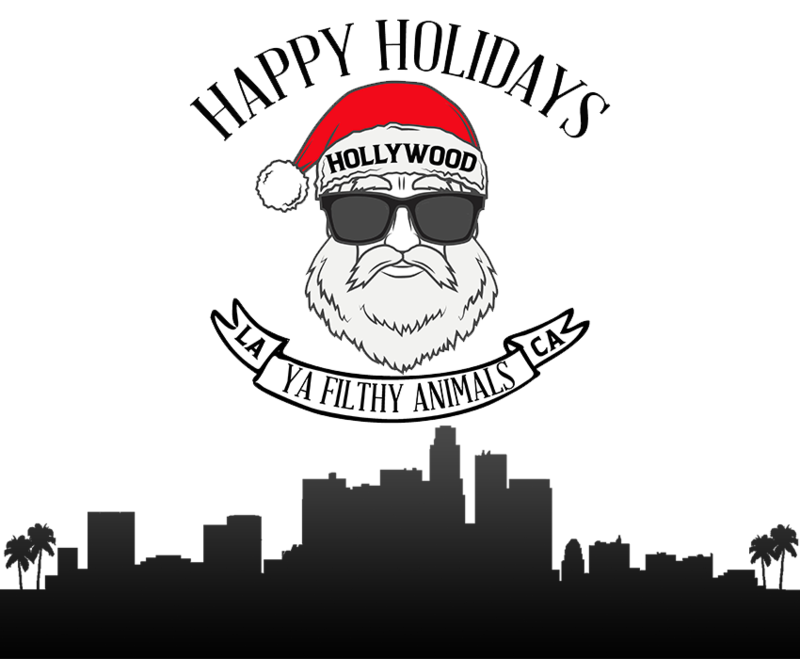 Happy Holidays, Ya Filthy Animals has created a fully-immersive experience inspired by some of the greatest and fan favorite holiday experiences movies and themes of all-time. Patrons will enjoy free ice skating in our outdoor ice rink attached to our space. You will walk through nostalgic sets and can create your own Christmas card photos in one of our three holiday themed photo booths! You will enjoy custom themed cocktails such as the “Better Drink Your Ovaltine;” the “Filthy Animal” and the “Bad Santa.” You can make s’mores over our fire pit and enjoy virgin or spiked hot chocolate. There will be programming from comedy to live music, entertainers and a full-on winter wonderland complete with falling snow and outdoor fire. Some of Los Angeles’ best food trucks will feed your needs while you ice skate under the stars. This pop up is geared towards adults, so get a sitter and come party! Guests will have a chance to pose for a fun photo or boomerang in the holiday photo booth rental provided by CEG Interactive. Shareable images can be downloaded to the guest's phone and shared on social media. No matter what you celebrate, you’ll have a blast. You’ll feel the nostalgia, warm your spirits and leave with a holiday glow! ALL SALES FINAL. CANNOT BE REFUNDED. CAN BE EXCHANGED FOR A DIFFERENT DATE/TIME IF AVAILABLE. © 2019 ShowClix on behalf of Holiday Animals LLC. All sales are final. Tickets are non-refundable.